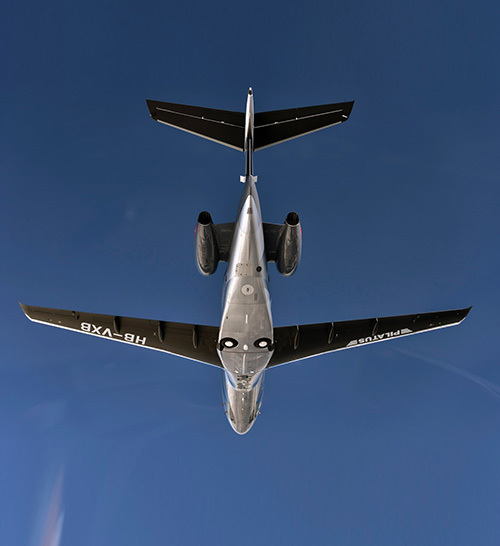 Strata Manufacturing, the advanced composite aero structures manufacturing company, wholly-owned by Mubadala Investment Company PJSC, is celebrating delivery of its first shipset of belly fairings for the PC-24, a twin-engine business jet produced by Pilatus Aircraft Ltd of Switzerland. Pilatus joins Strata’s wealth of leading aviation manufacturing partners, including Airbus, Boeing, and Leonardo Aero-structures Division. Operating from Nibras Al Ain Aerospace Park, Strata is wholly owned by Mubadala Investment Company PJSC (Mubadala), and is part of the Aerospace, Renewables & ICT platform that aims to advance the development of a leading aerospace hub in Abu Dhabi. Strata employs more than 700 people of 30 different nationalities – with more than half of its workforce being represented by Emirati nationals. Strata Manufacturing PJSC (STRATA) is a composite aero-structures manufacturing facility based in the heart of Nibras Al Ain Aerospace, Al Ain, United Arab Emirates (UAE). The company was established in 2009, with production beginning in 2010. Strata has partnerships with the world’s leading aircraft manufacturers such as Airbus, Boeing and Leonardo-Finmeccanica Aero-structures Division as well as a Tier one supplier to FACC AG, SAAB and S.A.B.C.A. Strata manufactures various parts on Airbus, Boeing and ATR aircrafts.